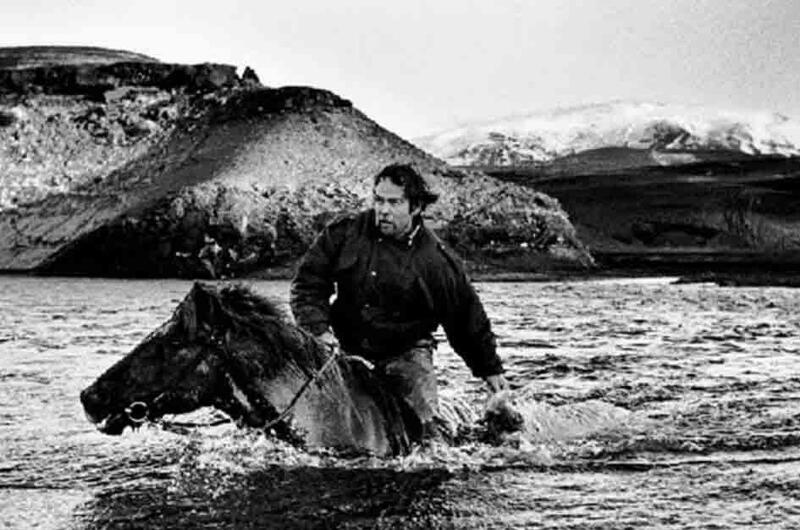 Ragnar Axelsson (1958) is a renowned documentary photographer and pilot living in Iceland. He has been a staff photographer of Morgunblaðið, Iceland's largest newspaper since 1976. He has made photographs for various agencies and magazines, shooting in Iceland, the Faroes, Greenland, Indonesia, Canada, Scandinavia and Siberia. Axelsson has been travelling to the Arctic for almost three decades, because already at a young age he felt, consciously or unconsciously, that because of the global warming the ice in the northern countries was melting and he felt a strong urge to document the lives of farmers, hunters, and fishermen, for future generations, to understand and tell and document their stories, faces, struggles, and fears. He was attracted to the Inuit people, and, travelled with them for many years. He took hundreds of impressive photographs of the Inuit people, whose language he did not speak, but whose trust he gained and with whom he went on hunting journeys. His private pictures, mainly black and white photographs, were taken under all kinds of dangerous conditions, in snowstorms, near volcanoes, in the wilderness and near hot springs, glacial ice, avalanches and sometimes witnessing shipwrecks. "A smile can melt an iceberg". 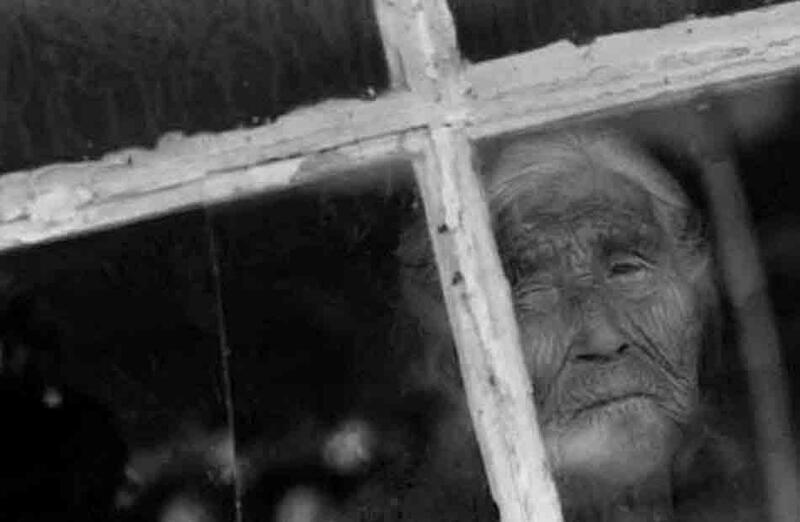 Ragnar Axelsson: "I started photographing the Inuit people at a very young age. I felt like I wanted to 'paint' their lives. I was not thinking about global warming and the threat of melting ice, I was freezing all the time, but the Inuit people who lived there sensed the global warming probably before anybody else, because they felt the ice was getting thinner. Gradually I felt that this kind of life was slowly disappearing. Because of the unique landscape and people, I started documenting their lives. I learned a lot from them . It was difficult for the hunters to go to the hunting ground, because the ice would be too thin, and they allowed my to come with them and trusted me. I don't speak their language, it is a very difficult language, there are several dialects among the Inuit people, sometimes they don't even understand themselves. It was too difficult for me to learn, it's a very hard language, I think even Chinese is easier. But the majority of the Inuits speak Danish, like I do. In the Thule area they don't speak any language other than Greenlandic, so that is where I had to work with gestures. That is how we managed to understand each other. It worked perfectly. And we smiled at each other. A smile can melt an iceberg, with a smile you can get to many places. It makes you get in touch with people and to connect. I think nowadays they wouldn't let anybody else to travel with them, you have to win their trust. The hunters are not allowed to take anybody on a hunting trip to film or photograph anymore. I think it is a new rule made by the government in Greenland." "The last days of the Arctic"
"Living in harmony with the Arctic nature"
Ragnar Axelsson has created a magnificent photographic collection that archives an Arctic people's struggle with the whims of nature, and portrays the social changes that have gradually eroded their age-old conditions. Axelsson never avoided dangerous situations. "I never look at it as dangerous. Maybe when I look back there were sometimes tough conditions, but I never have really thought about being in danger. But I probably was sometimes. Still, it was a challenge. We sometimes had bad weather, storms, blizzards, and volcanoes nearby, it can be dangerous I know that, but if you are careful, you are gonna make it. I would be very stupid if I was not afraid sometimes, the Inuit people are rather fearless, that is they also have their fears but they never show their feelings. They are very tough. James Bond is like a little girl if you compare him to them, because they are very tough when they are out on the ice." Axelsson has been hailed as one of the greatest documentary photographers of our times. He has published three books ("Faces of the North", 2004; "The Last Days of the Arctic" 2010, and "Behind the Mountains", 2013). His photographs of the continent has won him worldwide recogntion, and he has won more than 20 awards, including 4 times Photographer of the Year. Nevertheless it took years before his stunning black and white photographs gained the recognition. Axelsson: "At the time I started magazines were not interested in black and white photos. It took years before they got intested. As a young boy I started reading a book about great explorers, and I wanted to see this kind of life. When I was around 8 I started taking pictures with a camera that I borrowed from my father. I was mainly photographing birds, people and landscapes. It was fantastic as a young boy to see the daisies for the first time and the life on a farm. It's a memory that I will always keep in my heart. My father taught me a lot of things in the darkroom. When I was in the darkroom and saw pictures coming up, it was a magical thing. I wanted to make memorable photographs, pictures that matter. I always preferred to make photographs in black and white. I always say to people: everything that looks great in colour, looks even better in black and white. For my books I have made some colours photographs, but mainly black and white." "Photographing the Inuit people for almost 3 decades." "No photograph is worth dying for". "I think there are many young, talented children, who want to become a photographer. But with the digital photos of today, people overkill the colours. These colours are like from another planet. I don't manipulate my photographs. I stick to black and white, if I would manipulate my photographs I feel I would be cheating. My rules are very strict for myself." Axelsson is always on the move to see and take pictures of nature's miracles. This summer he crossed the longest fjord in the world, in Greenland, Scoresbysund, by sailing boat. "That was really interesting , because I had done that in winter time on a dog sled. The fjord is about 350 kilometres long and it took us 8 days to cross it by boat. It is a very beautiful area, with high mountains, the ocean is 1000 metres deep, and we were sailing around icebergs. I made great photographs. And yesterday I was flying with my aeroplane to take pictures of a volcano eruption in Iceland. When something is exciting and great you go to the edge to get the picture, sometimes circumstances are dangerous, but no photograph is worth dying for. So I am always very careful, but I go very close sometimes to the object to make a photograph. I take pictures of people and nature, as they are, without staging things. I photograph life as it happens."